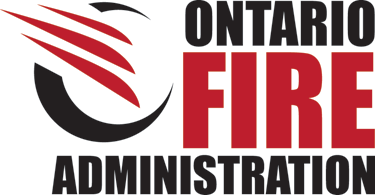 PortsToronto-Firefighter | Ontario Fire Administration Inc.
You must have valid certificates for Stages One, Two, and Three to apply to PortsToronto. The posting closes October 10, 2018. Questions regarding the PortsToronto recruitment process should be directed to PortsToronto. The Toronto Port Authority, doing business as PortsToronto, operates the Billy Bishop Toronto City Airport, the Port of Toronto and the Outer Harbour Marina. We are proud to be partners in securing Toronto’s economic prosperity and enhancing its beautiful waterfront for all to enjoy. Billy Bishop Toronto City Airport (BBTCA) is an award-winning airport and Canada’s ninth-busiest airport for business and leisure travelers. BBTCA Fire Department has a fully functioning, on-island fire hall and emergency response centre, with state-of-the-art equipment and vehicles. At BBTCA, we ensure the safety and security of those at and in the surrounding community, is always a top priority. Ensuring the safety and security of those at BBTCA, our fire fighters are trained to deliver fire suppression, emergency medical services, technical rescue including airplane rescue, elevator rescue, and ice and cold water rescue. Performing aircraft rescue firefighting operations by providing a fire free escape route for the safe evacuation of occupants and the physical extrication of occupants. Perform routine maintenance of firefighting and rescue equipment. Conduct scheduled equipment maintenance and testing. Conduct daily inspections of firefighting equipment and vehicles. Conduct and take part in fire and emergency response training and re-certification as required. Conduct Ice and Cold Water rescue. Work, coordinate and assist in structural, aircraft fire and various types of rescue operations with Toronto Fire Services and other responding agencies as required. Respond to medical emergencies that could affect employees or the travelling public. Provide first aid until arrival of TEMS. Act as liaison officer and work within a unified command structure with internal and external emergency agencies. Take part in station housekeeping. Hazardous Material responses at the Operation level. Water distribution systems, sprinkler systems & emergency backup systems to ensure fire protection. Structural, aircraft, vehicle firefighting techniques, tactics, strategies, and all related tools and appliances. Vehicle extrication techniques and related tools. Ice and Cold Water Rescue Techniques. Skilled in the operation of all firefighting and rescue equipment, including specialized motor vehicles. Skilled in Ice and Cold Water Rescue Operations. Skilled in Confined Space Rescue Operations. Very skilled in Medical emergency responses. Ability to initially take command of any emergency situation. Has the ability to work effectively under pressure in emergency situations. Is able to apply mathematics in the solution of related problems. Physical ability and strength to do prolonged and arduous work. Interpretation of BBTCA FD SOG and Airport ERP and the ability to implement during emergencies. Work extremely well within a team setting. Display effective interpersonal relationships – tact, judgment and reliability required. Work with or without supervision to operate standard and specialized apparatus to combat fires and be responsible for such equipment on emergency response. NFPA 1002 (ARFF) certification or equivalent (as deemed valid by Authority Having Jurisdiction). NFPA 472 at the Operation level certification or equivalent (as deemed valid by Authority Having Jurisdiction). Able to obtain Ice and Cold Water Rescue Technician (as deemed valid by Authority Having Jurisdiction). Able to obtain a Confined Space Entry Rescue (as deemed valid by Authority Having Jurisdiction). Hold a valid Medical First Responder with CPR level “C” certificate (as deemed valid by Authority Having Jurisdiction). Possess a Valid Ontario unrestricted Class “D” driver’s license with “Z” air brake endorsement dated prior to time of hiring. Have completed a minimum of an Ontario Secondary School Diploma, OSSD (Grade 12) or academic equivalent as approved by the Ontario Ministry of Education. Able to obtain a restricted radio operator’s license – Air and Marine. Able to obtain a Have a valid Airside Vehicle Operating Permit (AVOP). Able to obtain a Transport Canada Restricted Area Security Clearance. Applicants must possess a valid OFAI CTS Certificate for Stages One, Two and Three. *This is a union position belonging to CUPE Local 416. Interested and qualified candidates are invited to e-mail a resume along with a covering letter outlining how your experience supports our position requirements to: careers@portstoronto.com on or before October 10, 2018. We thank all applicants for their interest. However, only applicants selected for an interview will be contacted. PortsToronto is an equal opportunity employer.